Lakeway Update: Prop. B, 620/Congestion Update/ Info, PUD, Police and More! Prop. B, 620/Congestion Update/ Info, PUD, Police and More! Well, it's Good Friday and here I am working on a blog... What a beautiful day, rain this week (about 4 inches) and beautiful weather for the holiday weekend. We caught up most of the way on the rain deficit and the lake even came up a little. Lake Travis is at 668.60, full is 681. We are real close to the average level for this time of year - that is good news. Hopefully the rain gods will look favorably on us and keep the rain coming! By paying the Mayor and City Council Members for their service, it is easier to remove these individuals as defendants in a lawsuit. When individual city officials are named as defendants in a suit, state law essentially requires the city to be substituted for all city officials who are compensated for their service. Thus, compensation for the Mayor and City Council Members was suggested by outside litigation counsel for the City, and was supported by the City Attorney. The City’s liability coverage provider, the Texas Municipal League Intergovernmental Risk Pool, also supports compensation for that reason. Section 101.106 of the Texas Tort Claims Act provides that the filing of a suit against a governmental unit constitutes an irrevocable election by the plaintiff and immediately bars any suit or recovery by plaintiff against any individual employee of the governmental unit regarding the same subject matter. Tx. Civ. Prac. & Rem. Code Ann. §101.106. It also provides that the filing of a suit against an employee constitutes the same irrevocable election and bars suit against the governmental unit on the same subject matter. If a suit is filed against both the governmental unit and the employee, the employee shall be immediately dismissed on motion of the governmental unit. Volunteers are not considered "employees" for purposes of this election of remedies protection because the TTCA defines "employee" as those who are compensated for their service. See City of Dayton v. Gates, 126 S.W.3d 288, 290 (Tex. App.-Beaumont 2004, no pet.) citing Harris County v. Dillard, 883 S.W.2d 166 (Tex.1994). The other question is if the amount can be changed by council. This amount is set in the Charter and cannot be exceeded without a charter change - that would require a citizen vote. I was somewhat concerned about the mayoral candidates thoughts on the congestion on RR 620. There are 53,000 cars a day going through our city. Although the city works to connect parking areas to improve circulation between projects, it is PRIVATE property and the owners have to agree for this to happen. On the newer developments it is easier to make this happen - on older established locations it is next to impossible. I have a commitment from Legend that if the PUD is approved, there will be access through all the parking lots - none will be isolated. A 14 passenger bus if continuously used would have NO impact. The city has looked into park and ride - it would take significant funds to implement this. Bee Cave turned down an offer from Cap Metro because just the lot was over a million dollars - that was in addition to the annual cost of a bus route. All that to take at most 250-300 cars a day off the road. Another question - why doesn't the city put the road in through the MUD property? Good question! First, there is no right of way across the MUD property - it is part of the PUD. The MUD is not interested in supplying that right of way, the developer has to. Second, the cost of the road built to city standards is somewhere between 9-11 million dollars, maybe more with Lohman's Spur. If the city was to buy the MUD property ($10M ?) and add the road it would cost somewhere north of $20M. Lots of money. What would the city do with the property? All they legally can do if purchased with bond money is make it into a park or put a municipal facility on it. And that doesn't take into consideration the Stratus Property. Speaking of the Stratus Property, I have asked the City Manager to make an offer on it contingent with a bond election. We will soon be a the negotiation stage (hopefully). As far as the City Center PUD, there is a new updated version. It was given to ZAPCO members on Wednesday and is now on the city website for the public. Here is a link to the page, scroll down to the March 28th info. There are some major changes. Thank to Dallas at the Activity Center for her news - lots of events and classes. Here is a link to the complete letter. welcome to all the new members! LPD Officers conducted 307 traffic stops, completed 15 school checks, responded to 21 animal calls, responded to 13 collisions, answered 19 suspicious circumstances calls, completed 1 mental health calls, and handled 145 other types of calls for service for a total of 521. Routine traffic stops resulted in the following charges; Driving while Intoxicated X 1, and Possession of Drug Paraphernalia X 3. Officers responded to a Thackery Court address in reference to a suspicious circumstances call. Upon arrival, it was learned an argument had taken place between a grandfather and his grandson. Both parties were separated and were able to calm down. No charges were filed in this case. Officers responded to a RR 620 S. grocery store in reference to a disturbance in the parking lot. Upon arrival, officers found two females were in an argument over a dog that was tied to a tree near the store. The dog belonged to one of the females and was placed there for a short time. When the second lady attempted to give the dog water an argument began. The disturbance was verbal only and no charges were filed in this case. Detectives were assigned to investigate a report of a Theft that occurred in the 900 block of Lohman’s Crossing. According to the victim, a known suspect allegedly stole cash from him. Detectives are in the process of interviewing parties involved as the case remains active. Detectives were assigned to investigate a report of a Theft in the area of Borello drive. According to the victim, he discovered several pieces of jewelry missing from his residence. Detectives are in the process of collecting more information from the victim and following up on the few available leads in the case. Detectives were assigned to investigate a report of a Suspicious Circumstance in the 100 block of Harbor Hill Drive. According to the complainant, she received a “threatening” letter in the mail from a subject who is out-of-state. Detectives reviewed the letter and determined there were no threats of violence or property damage. The letter appeared to be a demand notice from a subject who was attempting to collect money that was awarded to him in a civil suit. Detectives were able to work with authorities in Nebraska to verify the legitimacy of the demand. The case has since been closed as a non-criminal report. It looks like the detectives were busy - especially having to investigate a demand letter on Harbor Hill. Sounds like someone skipped out on a debt. That's all for now, more as I figure it out. Tell your friends about the blog if you like it. I'm not sure what will happen after May but you never know! Thanks for all the support. If you want to be added to my email list, send a note to lakeway@bain.us and I'll get you added. This is a good blog update thank you! Speaking in terms if the City of Lakeway purchased this property, it would need to be used as a municipality. If we could "swing" it, a 9 hole Municipal Golf Course, Park Land, and a small outdoor ampetheater/gathering space, would be a suggestiton. 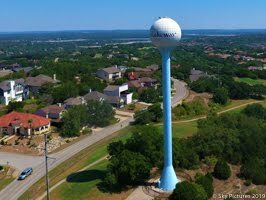 I believe many residents can benefit from something like this being offered in Lakeway. We played Lyons last week and it is just lovely to have that green space perserved. It would take a significant bond, but long term could really be a win-win. I have not seen any support for the $25M bond that would take. It would be nice but I think a little unrealistic. Thanks for the comment - I'll listen for support.